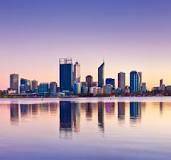 Bookkeeping, business payroll accounting and bank account management can be the bane of just about every business in Perth. From a small home based business in Perth to a web designer, and from a national company to a multinational enterprise. That is why changing over to Xero bookkeeping in Perth has become so popular. Xero bookkeeping services is a cloud based bookkeeping and accounting system where your bookkeeping problems in Perth are at an end. Regardless of the size of your business, every business owner in Perth has to ensure that their business accounts are up to date. This is not only because of the salaries, tax and GST you need to pay, but also because you need to know how much profit you are making and how much business capital you have on hand. Xero bookkeeping services in Perth makes all of these bookkeeping and accounting functions very easy and essentially, streamlines all of your business accounting saving you valuable time. So let’s look at 3 real-world benefits of moving over to Xero business bookkeeping services in Perth for your business. Xero bookkeeping services in Perth is an online, cloud based accounting system, which means that your accountant or bookkeeper can access your Xero bookkeeping accounts at any time. So you can be in your office and your accountant can be in their office and as one of you makes changes to the Xero bookkeeping accounts, the other will see those bookkeeping changes instantly. The Xero bookkeeping account management will provide your Perth business with a streamline service that makes reconciling your bank accounts and trouble spotting problems so much easier. Since Xero bookkeeping in Perth is a cloud based system you can access your business accounts anywhere, anytime 24/7. So you can be at a conference in New York and instantly access your current Xero accounts to check on something or make an update. You can even be at the local coffee shop, because you can access Xero on your smart phone or your tablet. With Xero bookkeeping in Perth all of your payroll and bank account management is automated. So you won’t have any more problems with your superannuation payments or PAYG tax. Xero Perth even has a special function where you can view all of the bank finances of your payroll and all sick days and leave accruals at a glance. As you can see, being able to streamline the accounting aspect of your business with Xero Perth, will increase your efficiency and remove a lot of worry from your shoulders. It will also save you a huge amount of time, which you would normally spend trying to organise your accounts. So if your accounting system could do with an overhaul, check out Xero bookkeeping in Perth for a reliable and innovative solution. To find out how Xero bookkeeping in Perth can help your business run more efficiently, contact Xero on 08 9271 2224, email us at info@mconsultingca.com.au or contact us by completing our online enquiry form.